Seachem’s specialty product line Aquavitro has a lot of promising products, and one we’ve fallen in love with over the past several months is the Salinity sea salt. We’ve used this salt with great success, seeing quick and clear mixing, water parameters that match the guaranteed analysis on the back of the bucket, and minimal salt required to get to the proper salinity. Unfortunately though, the salt was rather pricey at $80-100 per bucket depending on the store. It was originally available in a very large bucket that was capable of mixing up to 220-gallons of saltwater at 35ppt salinity, but nano aquarium hobbyists not needing near as much salt as their large reef keeping brethren were looking for a smaller solution. 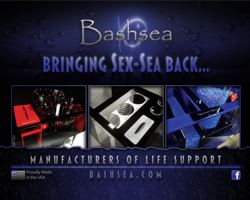 So, Seachem introduced a shorty bucket version of their popular Salinity. 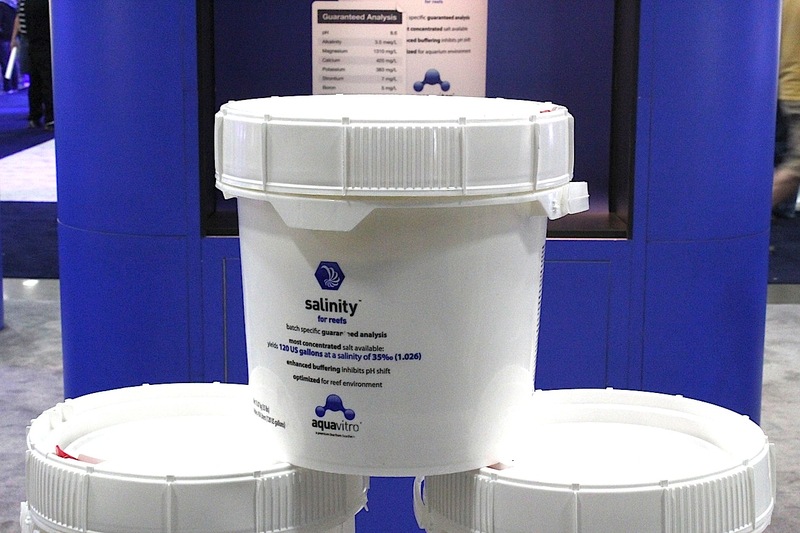 This smaller salt bucket could mix up to 120-gallons of saltwater at 35ppt and the retail cost is much nicer than the larger bucket at only $40-50 depending on the retailer. 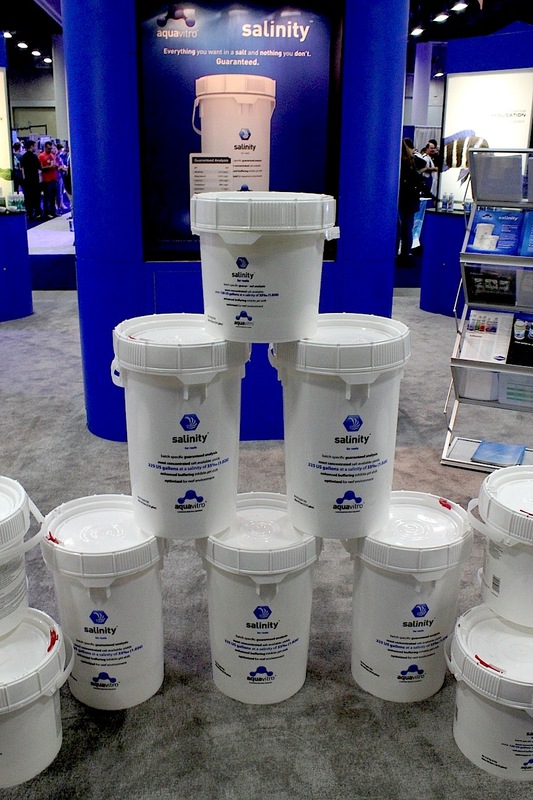 We got to see this tiny bucket of great aquarium salt at MACNA, though it’s not exactly a brand new offering from Seachem as it has been available for some time now.